The process of acquiring 18 acres of land for airport development was in progress. 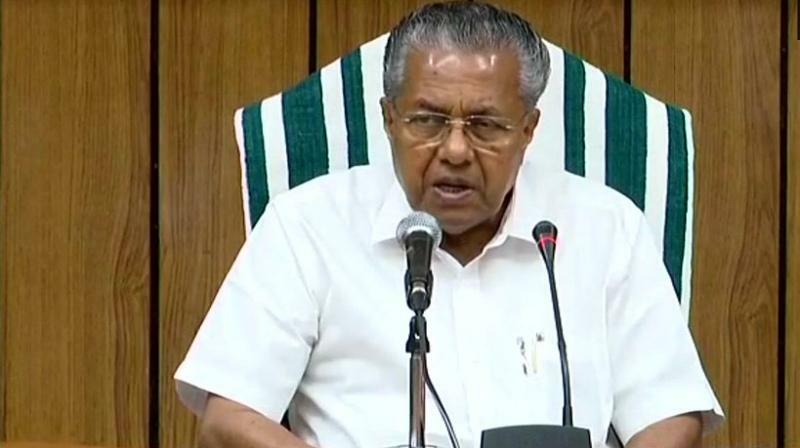 THIRUVANANTHAPURAM: Chief Minister Pinarayi Vijayan on Monday said the government was taking all possible measures to get the Trivandrum International Airport retained in the public sector. Replying to a submission from Parassala MLA C.K. Hareendran, the chief minister said the ruling and the opposition fronts setting aside their differences, had tried to put pressure on the Central Government to change its wrong policies. The airport was established on the land handed over by the state. The decision to privatize the airport was taken at a time when the government was providing all support and facilities for the development activities. The process of acquiring 18 acres of land for airport development was in progr-ess. The government had constituted a company to bid for the airport with the sole intention that it should not go to the private sector. The state had allotted 257.9 acres during Maharaja's reign; subsequently the state government gave 32.56 acres taking the total land to 290.46 acres.